My husband and I went to Bermuda for the first time on our honeymoon. 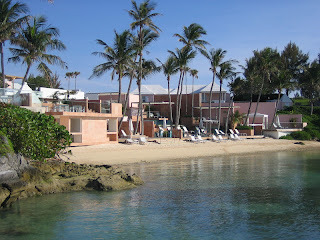 We loved it so much that we went back that next year for our anniversary, and every anniversary thereafter we have always had the debate as to whether or not we would splurge on another trip to the lovely island in the middle of the Atlantic Ocean. 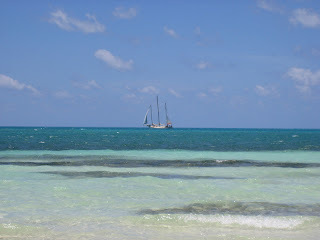 I am happy to say that come our anniversary this year, we are going back! 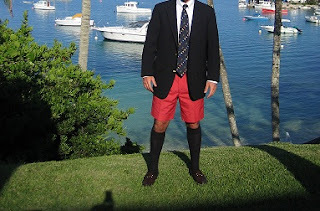 Which brings us to the Bermuda shorts. Yes, people do, to this day, wear Bermuda shorts with tall socks. Where did this come from and why do they do it? 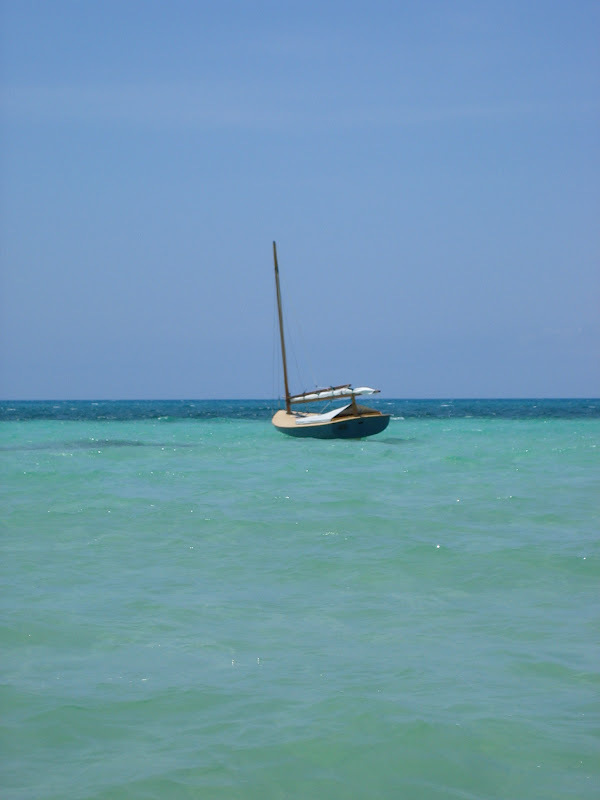 Well, the British began to use this newly discovered island as a vacation destination due to its continually satisfactory climate, as opposed to the common seasonal rains found in England. But, as they started to vacation in Bermuda, this was still at a time where men were not supposed to show their bare legs, but it was too hot to walk around all day in pants. So, they cleverly cropped their pants to a knee length, and then pulled up their trouser socks to cover the bare portion. The look is then finished with a sports coat and tie. It was, and still is, considered suitable attire for a male in a Bermudian's professional or fine dining environment. Another popular association with Bermuda is the scooter. Up until 1946, cars were not permitted on the island. People moved about by means of the ferry, the bus, or the scooter. In days of old, the visitors, who even to this day are still not allowed to rent cars as the cars are only for the local residents, used to rent scooters to hop along from beach to beach and town to town. These days, with the addition of cars on the island, scooters can sometimes be a treacherous embarkment, so I would recommend sticking to taxis, the ferry, and the buses. Plus, not only are the buses adorable in their pink color, but the bus drivers do sport the classic Bermuda shorts and socks look; so fun! 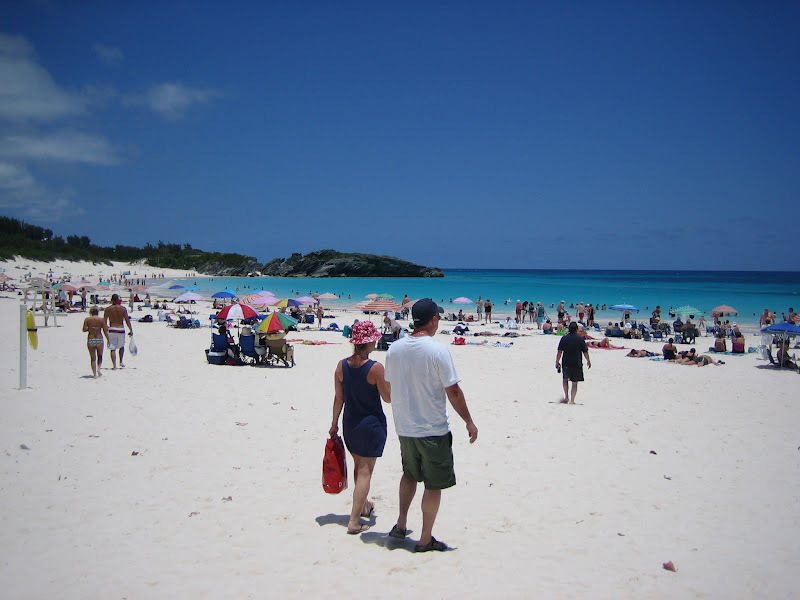 Some of the popular beaches along the South Shore of the island are Elbow Beach, Horseshoe Bay, Church Bay, and Somerset Long Bay. We like to make our way over to Horseshoe Bay, which is one of the most popular public beaches. Unlike some of the other beaches, they have a concession stand with food and drink, inclusive of alcoholic beverages; after all, it is vacation. 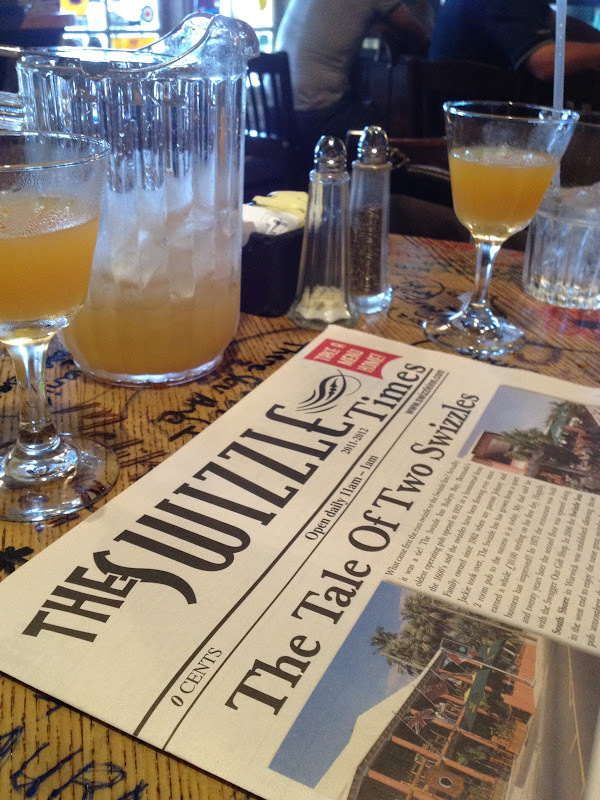 Plus, it's just down the street from Swizzle Inn South. 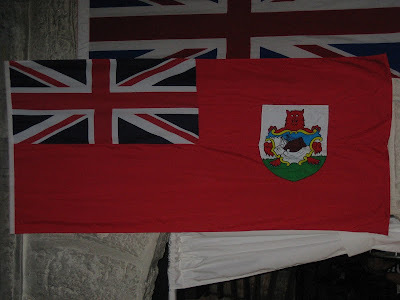 So speaking of the Swizzle Inn, you need to swing by Bermuda's oldest and most famous pub. The original Swizzle Inn is located up near the airport, a little bit further from the other tourist attractions, so they did open up a second location on South Shore called Swizzle Inn South. Sure, it's not the original, but they serve up the original Swizzle cocktail. It's yet to be 100% confirmed as to what is in this delicious concoction, but it's a refreshing island delight. Aye sailor, be warned; the Swizzle packs a powerful punch. 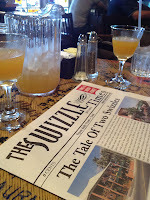 Unless you intend to take their motto to heart - "Swizzle Inn, Swagger Out" - might be best to stick to just one. There are three main hot spots in Bermuda: Town of St. George, City of Hamilton, and Dockyard. Check back for future postings on these individual ports of call. 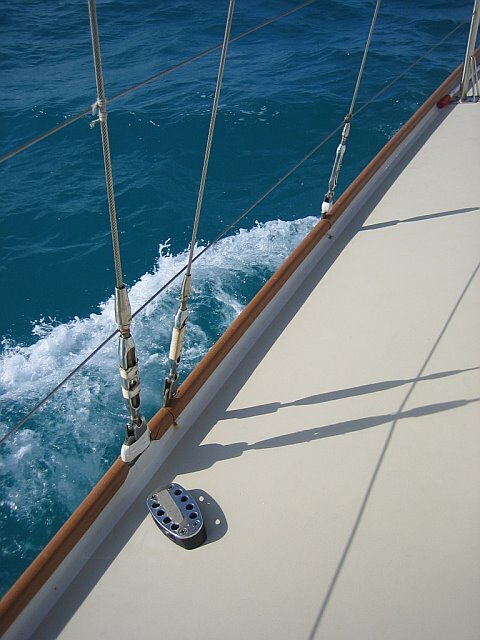 Bermuda is very much a sailing community, and why wouldn't it be with all of the wonderful waters surrounding the island. While the pink sand beaches are definitely an attraction, so are the surrounding reefs. 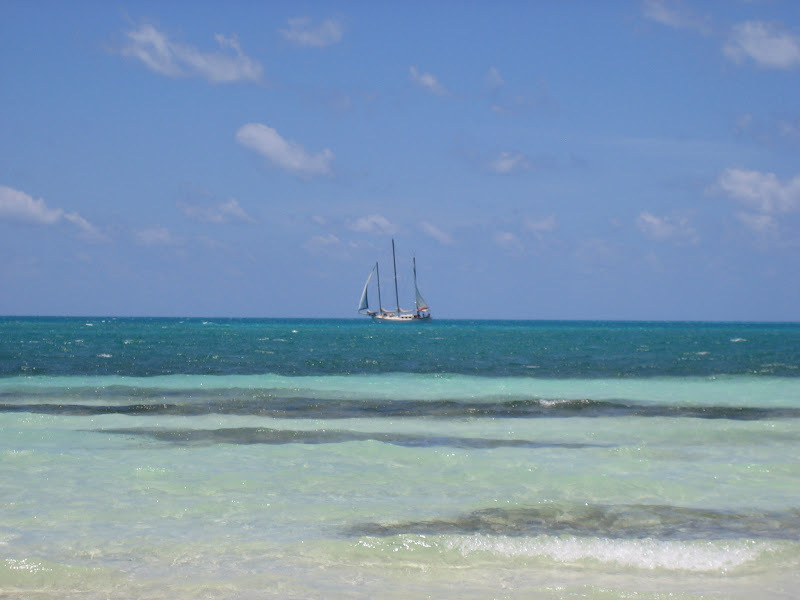 Book a cruise out to snorkel, or take a night sail at sunset. 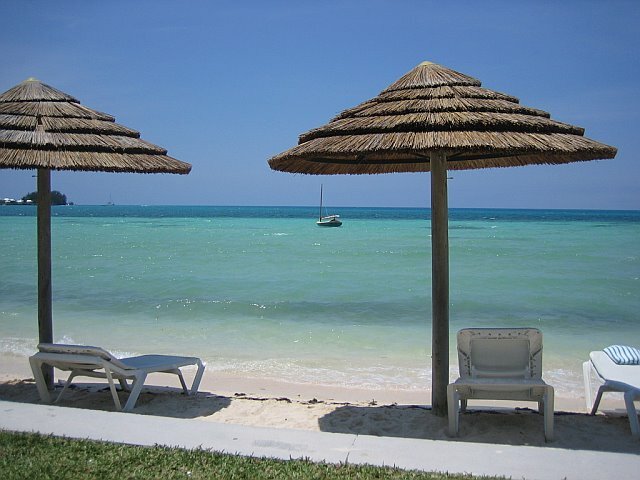 As for places to stay, we like to stay at Cambridge Beaches with its 3 private beaches. 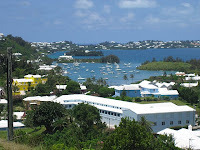 It's further down the island in Sandy's Parish, away from the city of Hamilton and a car/bus ride from the beaches, but there are classic Bermudian cottages, a lovely spa, fancy fine dining at Tamarisk, and a peaceful quietness to your vacation. Other nice choices along the beach would be the Fairmont Southampton, which has golfing, and The Reefs with a private beach and fun dining at Coconuts. For those wanting to stay downtown, there is the Fairmont Hamilton Princess. 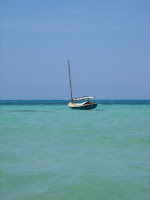 Some choose the option of travelling by way of ship. 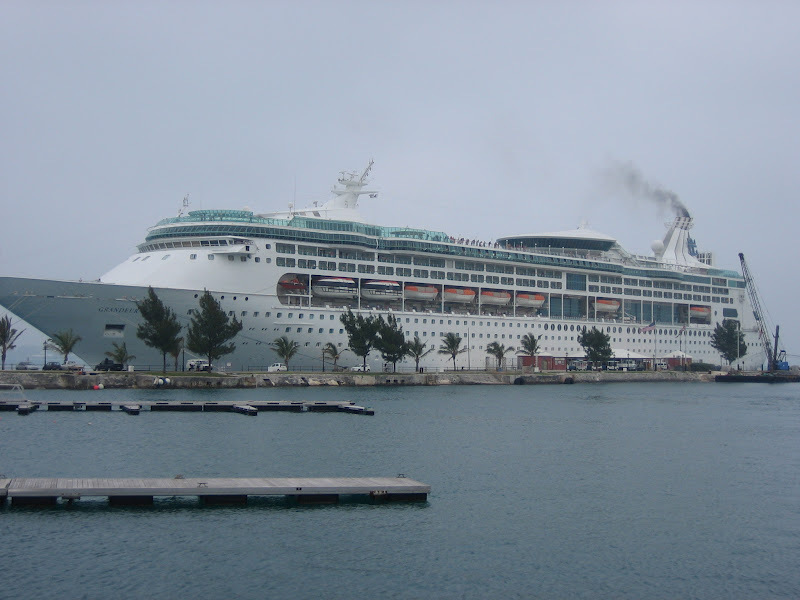 There are many cruise ships that depart from the east coast and travel to the island. They dock in Dockyard, or Hamilton, or St. George's, and you get your travel and stay in one. Finally, another cool site to see outside of the cities and beaches are the Crystal Caves. The caves were discovered in 1907 when two young boys were attempting to retrieve a lost ball. 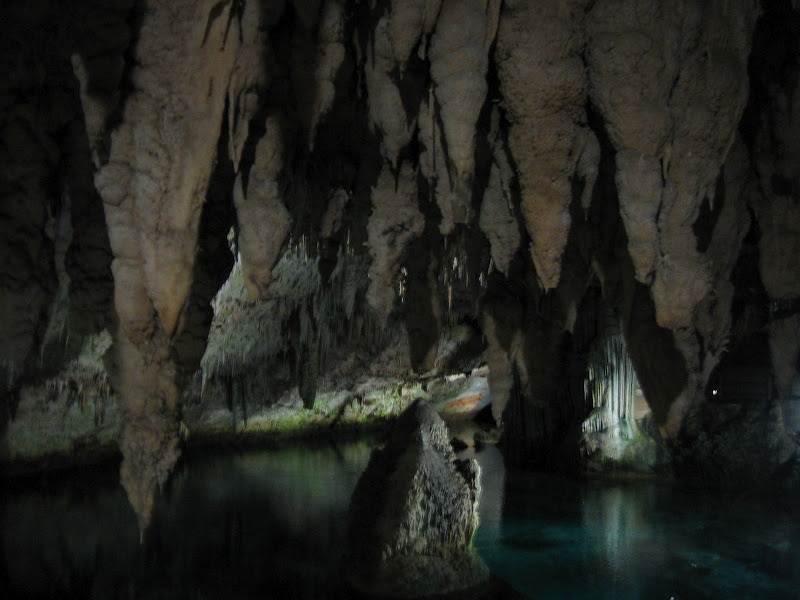 The crystal formations are from the limestone rocks and appear as though they are dripping from the ceiling of the cave. 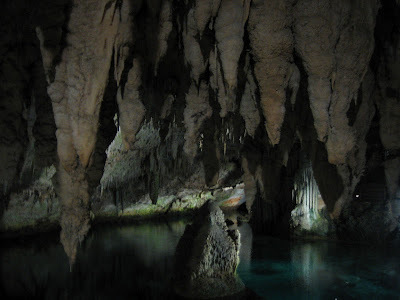 Also, within the caverns is a naturally formed lake that has crystal clear water in which you can see the same crystals from above, but now pointing up and protruding from the cavern floor. 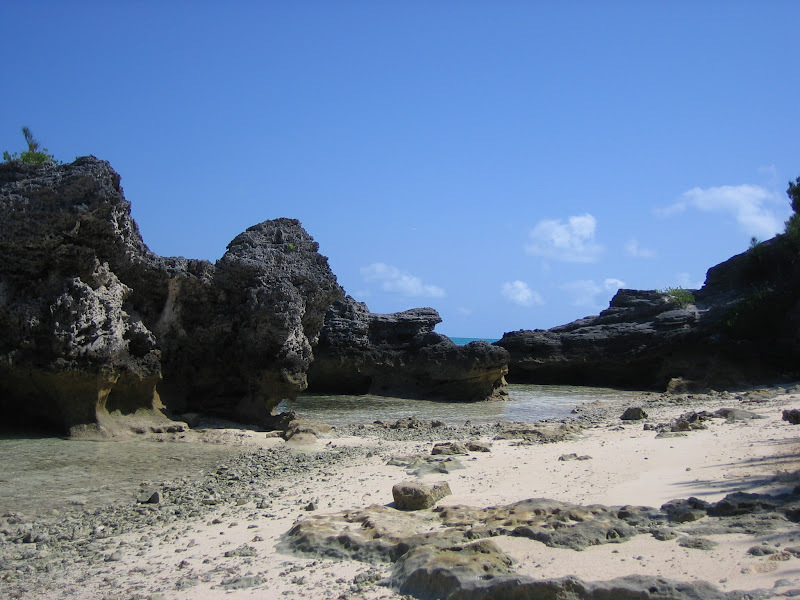 Crystal Caves are located right near the airport, so try to make a point to quickly stop by on your way in or out of the island. Someone recently asked me when was the best time of year to go to Bermuda. 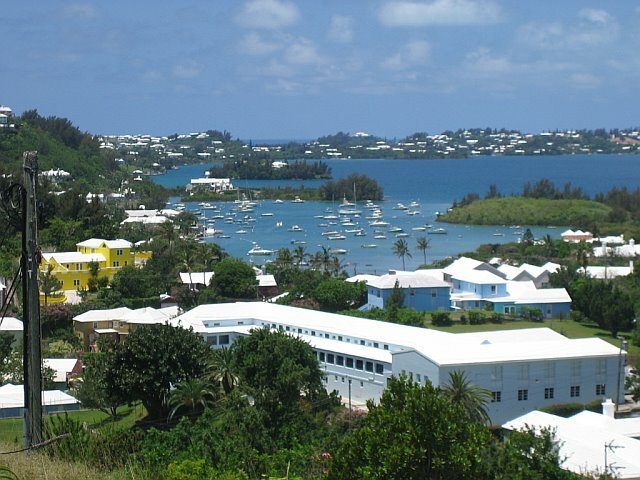 Personally, I'd welcome a trip to Bermuda at any time. 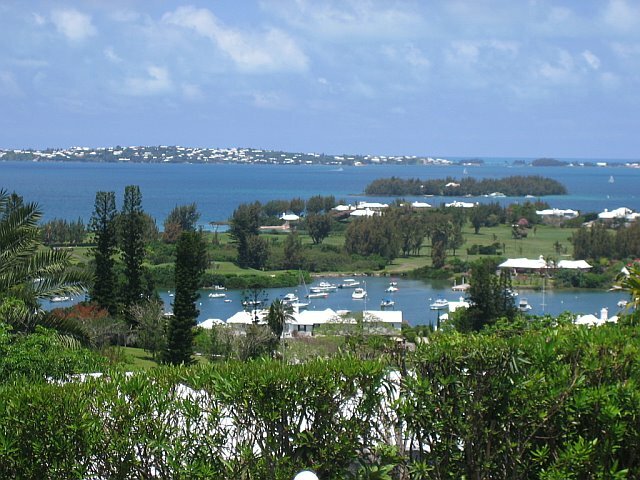 We've frequented Bermuda in the summer months, which have always been perfect, but I've also heard from some of the locals that New Year's is a fun time to be in Bermuda with a cool, crisp climate. The only fore-warning I would give is to use caution around the months of August and September, as Bermuda is a well known path during Hurricane season.